Travis Scott shares his new record, "Antidote". After teasing new music on Twitter earlier today, Travis Scott has delivered on his promise, sharing new solo cut, "Antidote". This one is a little more subdued than your average Scott record, featuring melodies that are more nuanced than his preferred style of inspired auto-tuned blurting. 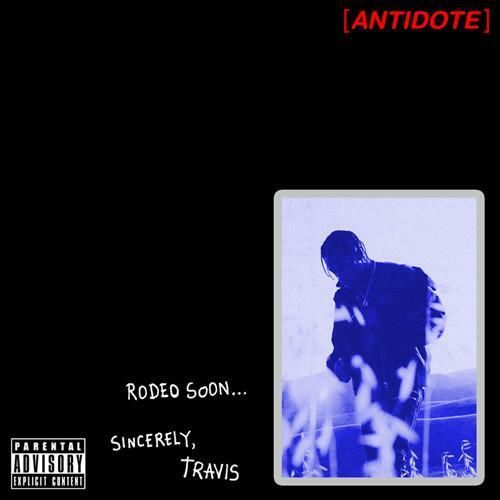 The artwork reads "Rodeo Soon, Sincerely, Travis." How close that'll be is anyone's guess, but last we heard it should be out before the fall. While this record won't appear on Scott's upcoming debut album, we heard the Future and 2 Chainz-assisted first single, "3500," a couple weeks back. Listen to that one here.